A pair of organically-shaped square studs which have been embossed then reticulated providing an interesting and unique texture. 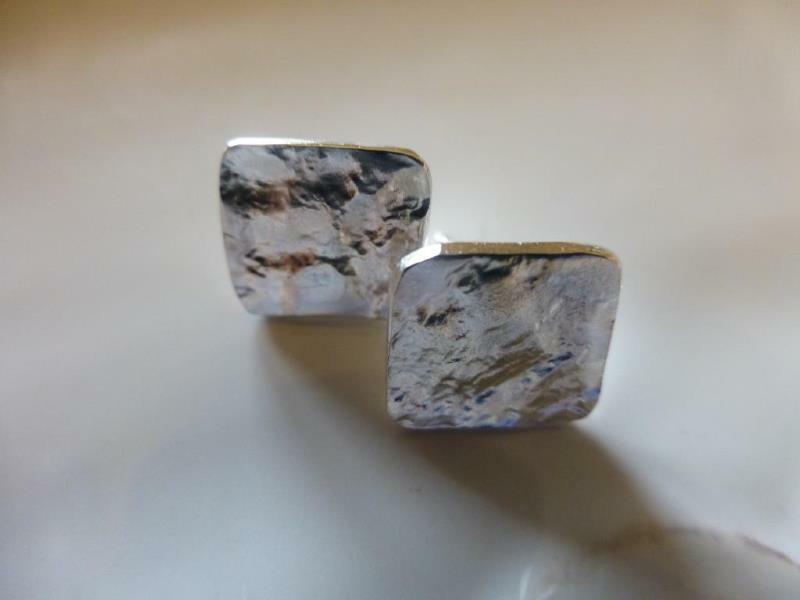 They measure approximately 1cms x 1cms and include sterling silver posts and butterflies. Other sizes and shapes can be made to order.